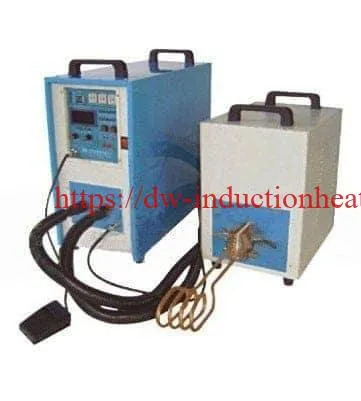 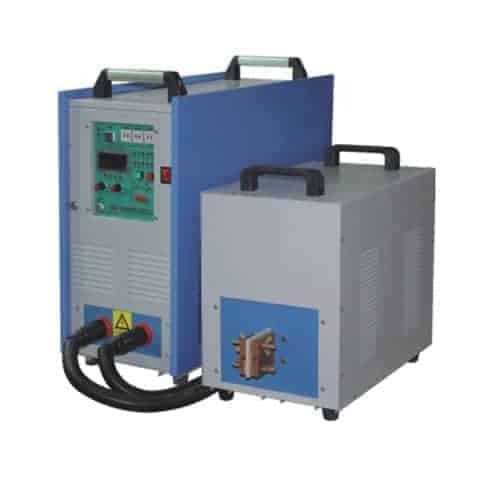 Solid state high frequency induction heatert DW-HF-45kw is suitable for normal quenching,Hardening for normal depth,Soldering&Brazing for tubes or pipes,Heating tubes or pipes,Forging small workpiece,etc. 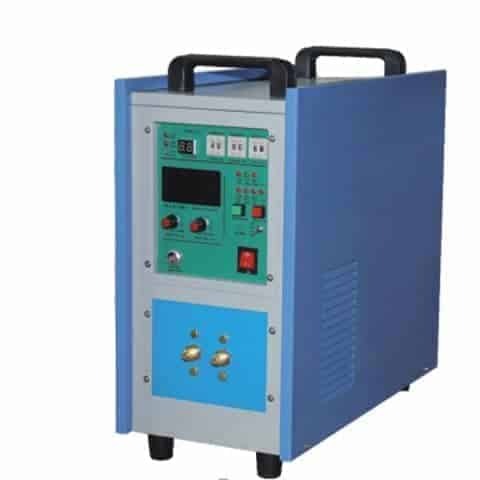 multi-display functions, with displays of over current, over voltage, water failure, phase failure and unfit lad and so on, machine can be protected from destroys and machines can be repaired easily. 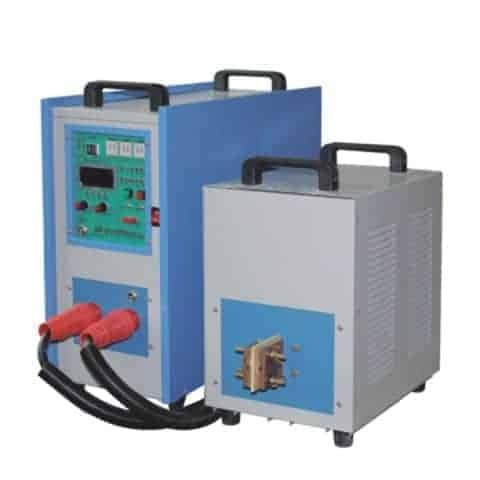 simple to install, installation can be done by unprofessional person very easily, connection water and power can be finished in a few minutes. 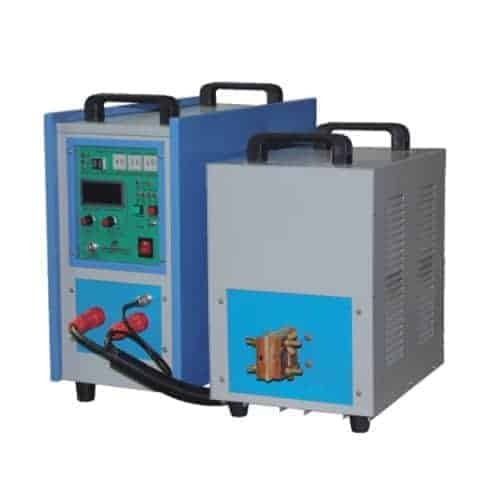 advantages of the model with timer: the power and the operating time of the heating period and retain period can be preset respectively, to realize a simple heating curve, this model is suggested to use for batch production to improve the repeatability. the separated models are designed to fit the dirty surroundings, the generator can be put in a clean space to increase the reliability; with the small size and light weight of the separated transformer, it is convenient to use in the production line and easily assembled inside the machinery or moved mechanism. 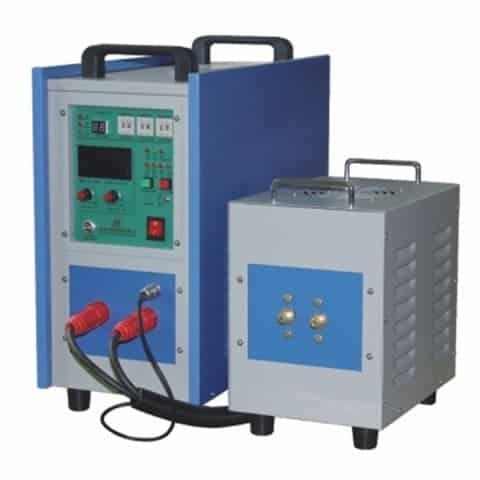 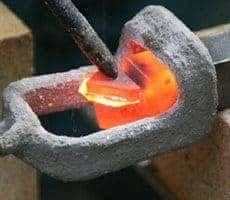 brazing of copper & brass tube and connectors in air conditioner manufacturing factories and so on.